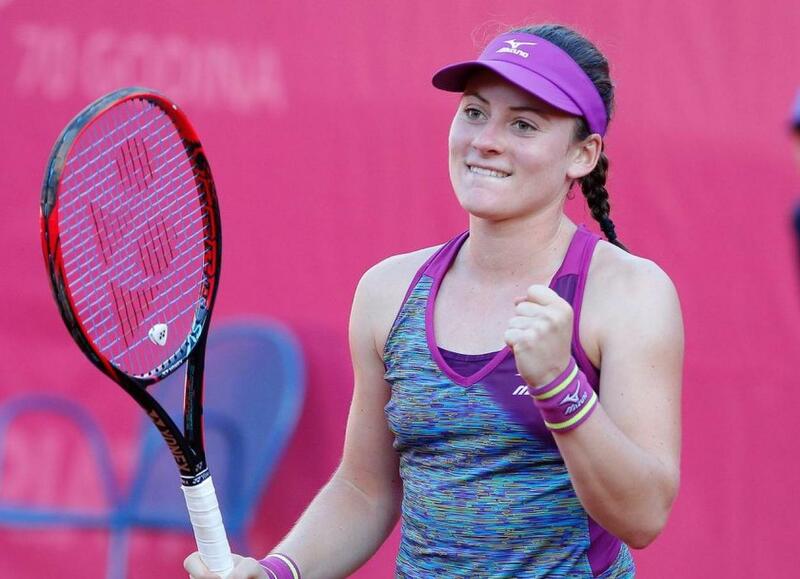 Betting tips Monica Niculescu vs. Tamara Zidansek. Romanca Monica Niculescu is preparing to take the start at the 2019 edition of the Miami tournament, but her opponent in the inaugural round will not be too easy to beat Tamara Zidansek. Slovene is a good player on the hard side, even if the results of the last period do not necessarily confirm this, but it has the ability to challenge Monicai. 1. The latest information before playing betting tips Monica Niculescu vs Tamara Zidansek. Tick now the 10th to this tournament, being familiar with the game conditions here. The best performance recorded 3 seasons ago when it stopped in round 4. In the current season he has a positive, but unconvincing balance on the hard, with 8 wins and 5 defeats. Besides the quarterfinals in Shenzen, where he succumbed to Wang, he has no results to boast in the current season. In order to be present on the Miami main painting, he had to quarrel two qualifying rounds, but defeated Arruabarena-Vecino and Kozlova. The former occupant of the 28th place in the world is currently ranked 110 positions lower in the rankings and there are weak chances to see a rapid rise. Take part in the Miami tournament premiere. This year it started modestly, with 4 wins and 5 defeats on the hard so far, its game suffering on this surface. Even so, he managed to reach the semifinals at Hua Hin, missing the qualification in the finals to the detriment of Tomljanovic. At just 21, he is a training player, and even if he has not managed to win any WTA title so far, he has a lot of talent but still has to be patient to gain the maturity in the game that a champion needs. He is much better ranked than his opponent, ranking 66 in the WTA hierarchy. 2. Monica Niculescu vs. Tamara Zidansek direct meetings. The two tennis players have not had the chance to meet in an official match so far, given that Slovenia is only 21 years old. Inevitably, Niculescu will have to be the one who will quickly take the initiative in points. Romanca will wear the blow he best masters, the slice on the lapel, and hopes to surprise his opponent as often as possible. Zidansek, however, is pretty good in the defensive, with a very good backhand and I think he will be able to send back enough balls. At work they both manage to be below average, but I bet Tamara, which is slightly more efficient on the first. I expect a long game, especially complicated for the Romanian, and I think Niculescu will give it to the set of opponents today.